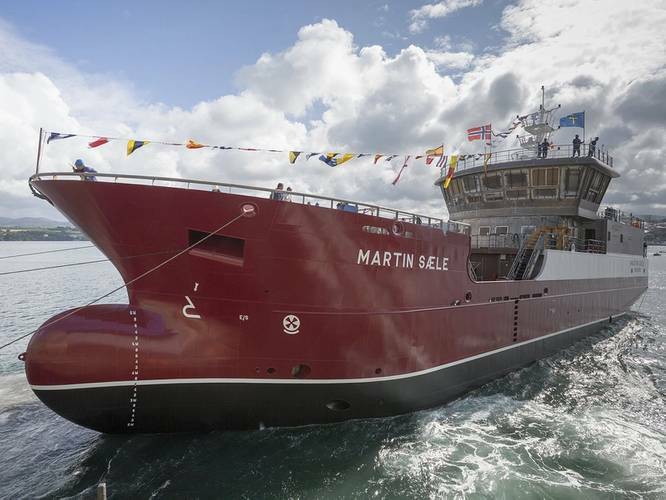 At high tide, the vessel “MARTIN SÆLE”, the first Live Fish Carrier built by Gondan Shipyard in Figueras, was successfully launched today. Representatives of the owner of the vessel, the Norwegian company Salmon Star AS, were present at the event. This Live Fish Carrier, with 50 meters length and 12,6 meters beam, has capacity to transport up to 1000 m3 of volume of water and fish alive in her hold. She will operate in the Shetland Islands, where she will transport young and adult fish between different farms along the coast, and also transporting to and from the in-land fish factories and farms. 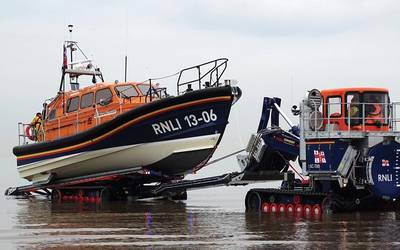 She is a technologically advanced vessel and will be able to accommodate up to 7 crew members; but due to her high degree of automation, she will be operated only by 4 persons. 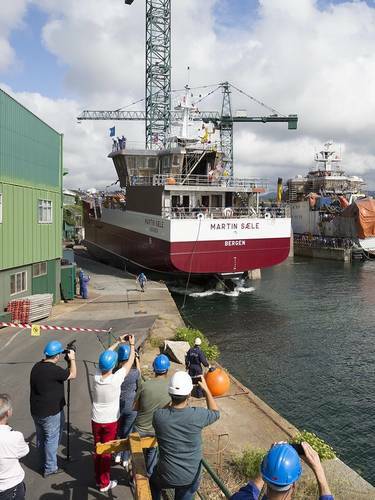 After the launching, the vessel was moored at the Yard´s quay, where she will remain for the next few weeks, until the outfitting process it´s complete. Then, after the thorough sea trials, the ship will sail towards Scotland, ready to meet the high expectations of her charterer.